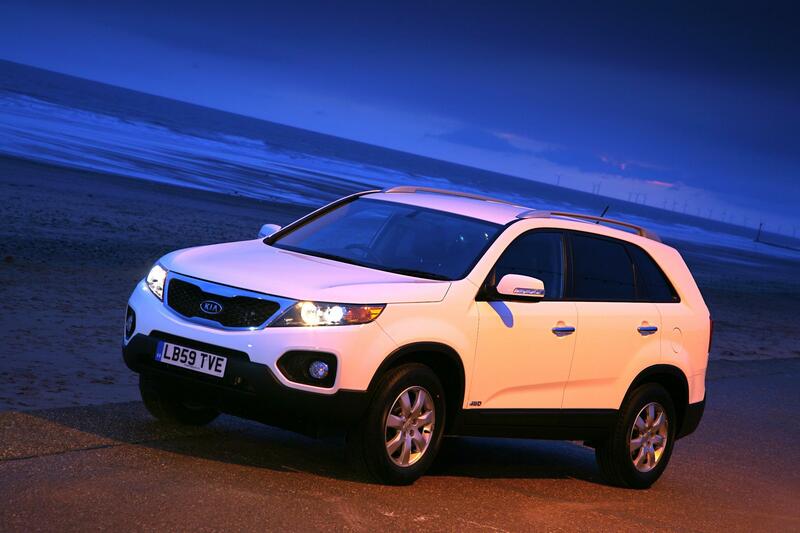 Kia’s original 2003 Sorento proved something of an unexpected shake-up for the establishment. 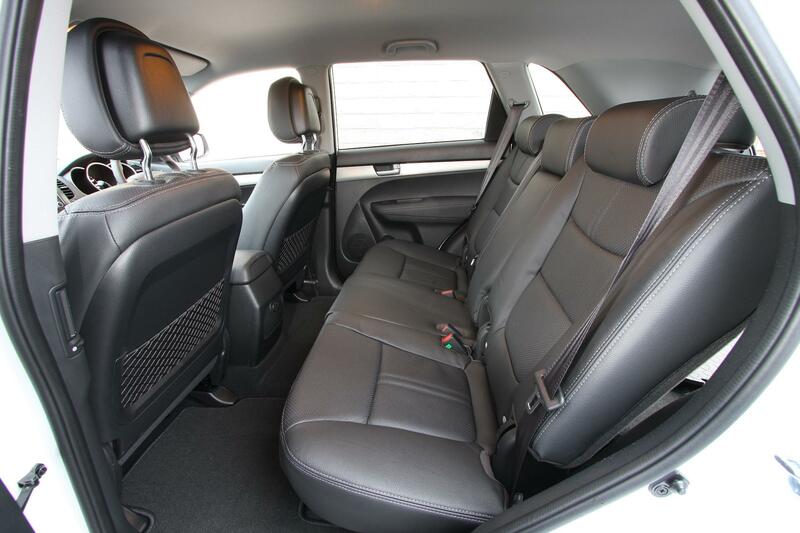 Here was a new entrant into the heavier duty end of the SUV market that was fairly capable off-road, could tow large caravans and horseboxes with ease and looked the business too – squint and it transformed into a Mercedes M-Class. But the Sorento’s trump card was its price, typically a full £10,000 cheaper than similarly-sized rivals from Land Rover and Toyota. Quite. Gone is the me-too styling of the first Sorento and in comes a bold and harmonious application of straight lines and deep creasing. The effect is both attractive and distinctive, without relying on too much bright work to accentuate the styling features, as employed on the smaller Sportage. Aggressively styled headlights are visually held in place by an angular bonnet which is scooped so it’s higher at the wings than in the centre. Where it wraps over the body-sides, the front wings are chamfered out further strengthening the clamshell effect of the engine cover. The side profile is dominated by a trapezoidal window shape which looks like it’s been forced into the cabin, stretching the metalwork around it so that it looks even deeper-set than it actually is. Visit the rear of the Sorento and the huge tailgate bisects the large LED tail lights, before reaching up to a narrow rear screen. Unpainted dark plastic cladding on the lower extremities reinforce the off-roading imagery. Kia’s design confidence has grown exponentially under Peter Schreyer’s stewardship and the stylistic devices employed on the Sorento work well on such a vast canvas. So is the latest Kia Sorento a new body over a familiar chassis? Not a bit of it. The Mark II Sorento has consigned the previous model’s separate, ladder-frame chassis to the annals of Kia history and instead the latest version is of monocoque construction. The most obvious benefit of such a passenger-car build methodology is that despite the Sorento being longer than the outgoing model, it’s shed over 200kg according to the scales. Weight, or lack of it, is all in these parsimonious times of high fuel prices and VED rates and subsequently the lighter model enjoys reduced emissions and fuel consumption rates over its predecessor. 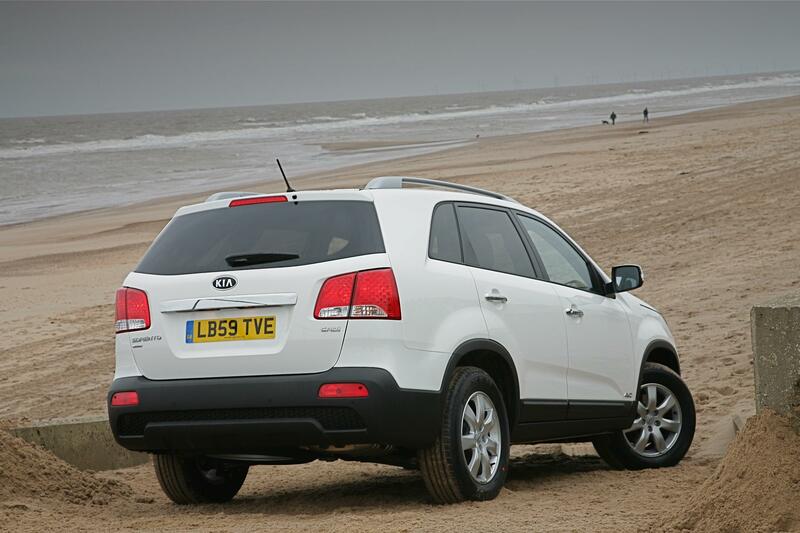 What hasn’t been tested is the latest Sorento’s prowess as a serious off-road companion or towing vehicle. It happily breezed along at near normal road speeds along an undulating farm track although more serious inclines might prove trickier now that a low-range transfer box has been eschewed. Purists will also claim that unibody-construction 4x4s don’t possess the necessary suspension travel or articulation for traversing mountainsides either – perhaps with the admittedly larger Discovery and Land Cruisers remaining true to the body-on-frame mantra they have a point, but the extra weight, larger engines and therefore increased costs is totally at odds with Kia’s value for money ethos. And it remains true that the vast majority of SUVs only ever go off road when their owners park on their driveways at night. So the Sorento’s engine’s smaller than the old model’s? Yes, the new four-cylinder 2.2-litre common rail turbo diesel not only out-frugals the old 2.5-litre unit, but it out-performs it too. Churning out 194bhp and 311lb/ft of torque from deep in the rev range, Kia claims the Sorento will achieve 42.2mpg on the combined cycle. In the real world ravages of its week in my possession, 29-30mpg seemed the norm around urban environs, with a respectable 36-38mpg being indicated on the trip computer on longer, higher speed cruises. Perhaps surprisingly for a car, which despite being lighter than before, still weighs in at over 1.8 tonnes, the 0-60 dash is a sprightly 9.2 seconds, with performance across all six gear ratios proving brisk under harder acceleration. Keeping up with motorway traffic and cleaving its way through rush hour High Street runs with accomplished nippiness are plus points the old Sorento couldn’t manage, at least in diesel guise. The new Sorento will doubtless be very popular with early adopters who plumped for the first generation model; their impressions will be an overriding one of significantly increased drivetrain refinement and altogether better handling and roadholding. Monocoque construction has bestowed the Sorento with improved road manners, turning in to bends with greater precision and rolling much less than before in the process, too. High profile tyres and a high ride height aren’t ingredients commonly checked off on the dynamic steering tick list but again, over the old model you are much more aware of both the direction of the front wheels and can sense when traction’s getting closer to breaking away towards understeer. A pity in that sense that it’s over-assisted but the flip side is the Sorento is very easy to manoeuvre around urban obstacles at low speed. 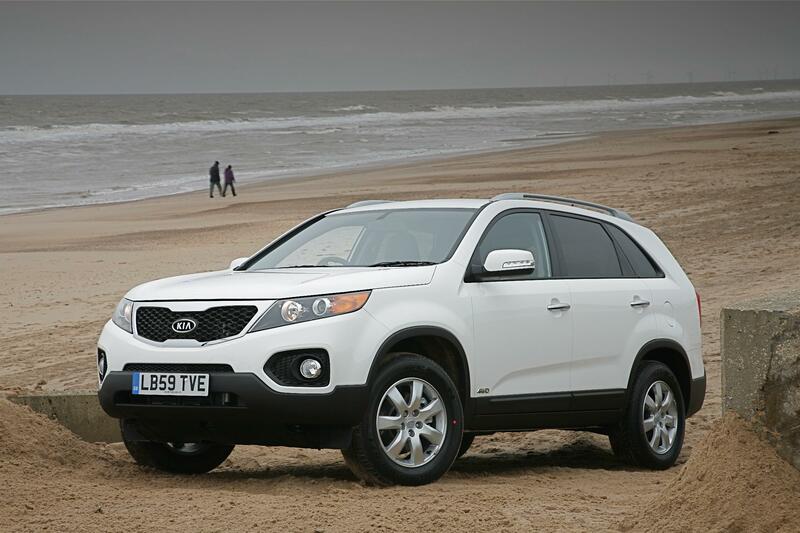 While the Sorento feels sure-footed at any speed, the ride quality disappointed. Below 30mph ruts, undulations and ironworks in the road tended to be transmitted through into the cabin, similar to how you might expect a stiffly-sprung sports car to feel. Increase the speed and although the sharpness of those bumps disappears, the big Kia can easily be pitched into a fore and aft gentle rocking motion. Thankfully it’s not so severe that passengers begin to feel queasy but it’s noticeable enough to take the edge off refinement. Drivetrain-wise, the new engine is smoother both in sound and power delivery than the previous 2.5-litre engine and is mated, in this case, to a six-speed manual that’s more precise in action too. The old model’s gear lever felt as though it was attached to a series of rubber bands before connecting to the gearbox, so in comparison this one’s slick. But the throw’s long between ratios and not especially satisfying. Unless you desperately need a manual version, upgrading to the six-speed automatic is well-worth considering, even with its £1500 premium. 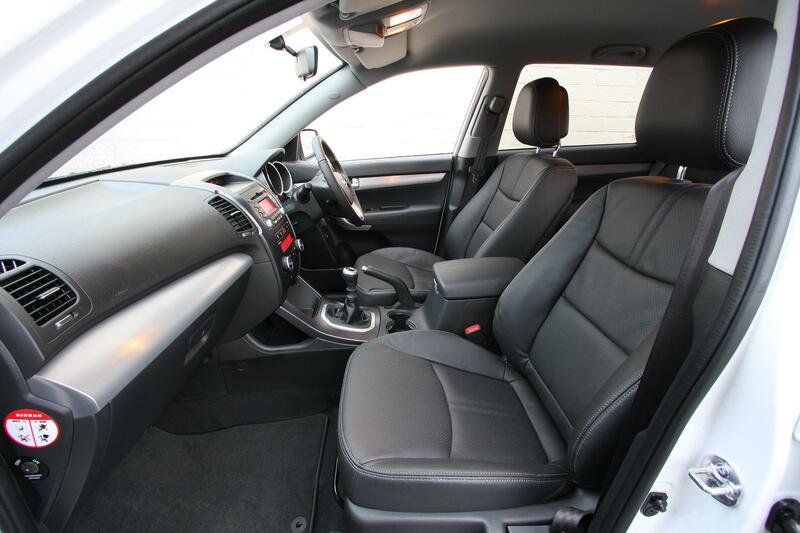 The old Sorento might have been well equipped but it felt cheap inside. How’s the new one? 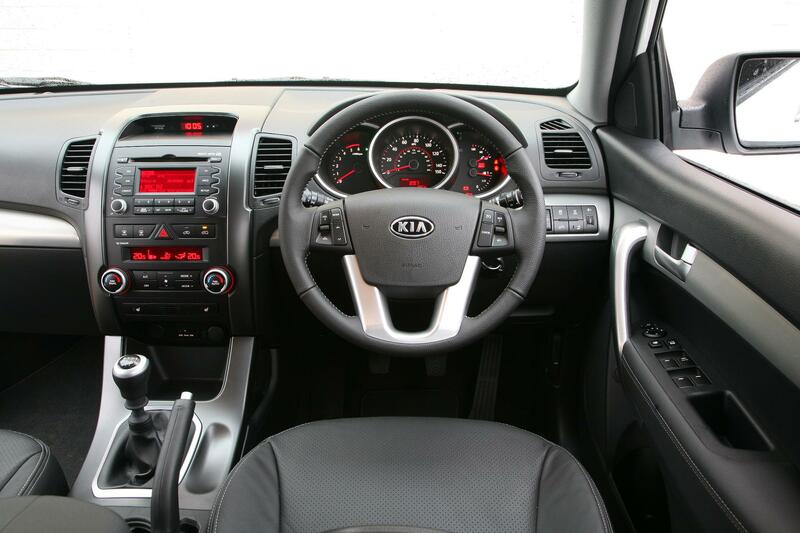 Quality of interior plastics is one particular area where Kia’s cost cutting to keep the Sorento down to a particular price point is especially evident. The shape of the mouldings are more contemporary than the original, but there’s less stylistic flair at play than in smaller, less expensive models. Wherever your hands venture, they’re greeted with surfaces that feel ‘okay’ at best. Leather-look and metallic surfaces are almost universally formed of hard, resilient plastics; switchgear operates precisely just with little damping or finesse. Yet the construction of these materials is first rate and the Sorento feels like it will easily outlast its superb 7-year/100,000 mile warranty with everything still working as it should, just as it did on Day 1. 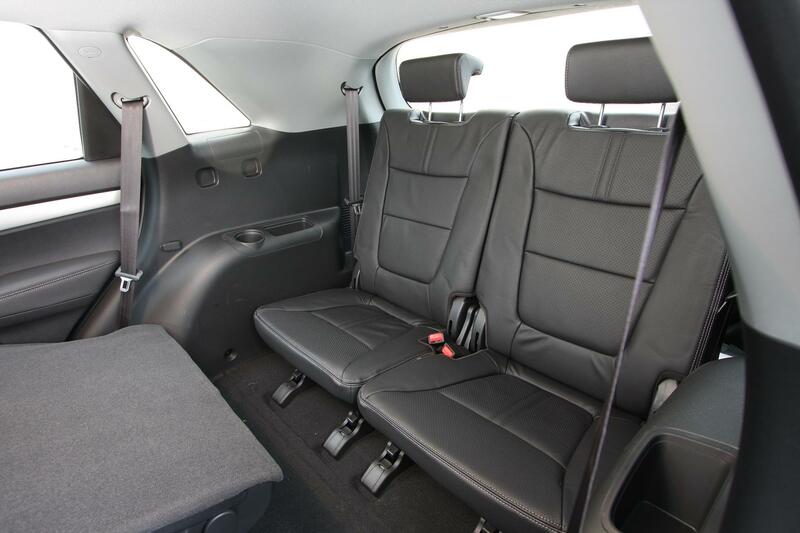 One of the Kia’s biggest draws is the wealth of space within the cabin, with all seven seats being comfortable and spacious enough for adults with ample leg, head and elbow room. 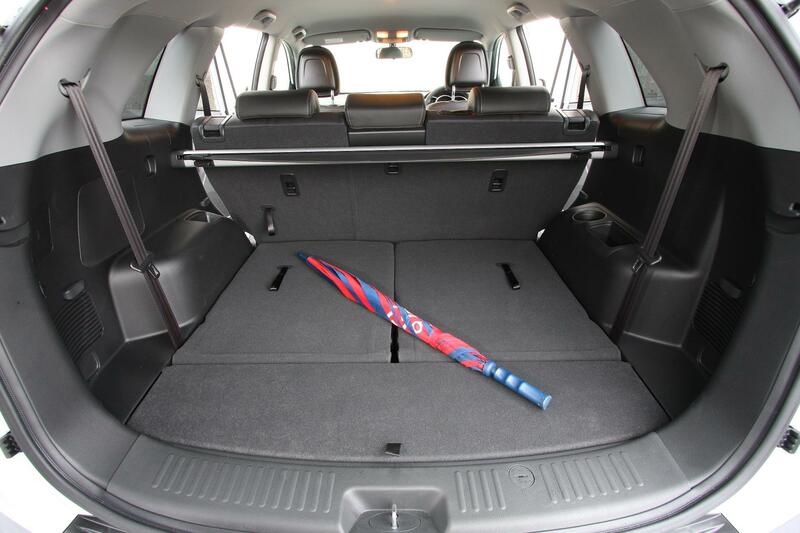 As with almost every seven-seater on the market, when all chairs are in the upright position boot space is negligible – in the Sorento’s case, down to a piffling 111 litres. Folding them into the floor and tipping the middle row forwards liberates up to over 1500 litres of capacity, enough to out-do many a small van should you so wish. Somewhat compensating for the harder textures is an impressive kit count, the test Sorento being delivered in range-topping KX-3 specification. Subsequently for your £31,000 outlay you’ll enjoy leather seating, heated chairs for front passengers, with an electrically adjustable driver’s seat, Bluetooth connectivity, iPod lead, automatic lights and wipers, satnav (not illustrated on the pictures), reversing camera, parking sensors, cruise control, power folding mirrors and trip computer amongst other features. 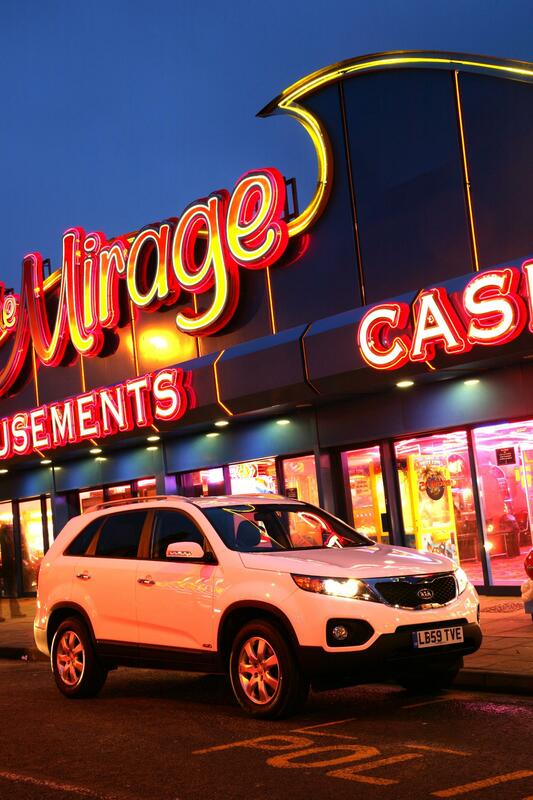 Prices for the Sorento begin at £23,095 for the ‘1’ 2.0 CRDi with front wheel drive and five seats, up to £32,495 for the automatic version of the KX-3 tested here. It would be easy to recommend the latest Kia Sorento purely on the basis of its warranty and price and doubtless they will prove very attractive, especially to private buyers. And as easy it would be to do so, there’s no need. The Kia is no longer cheap compared with its rivals and now instead represents good value; it’s a mark of the Korean brand’s growing status that prices are slowly catching up with the establishment. For reference, Toyota’s nearest equivalent Land Cruiser is less well equipped, less powerful, less economical and starts at almost £5000 more than the Sorento. 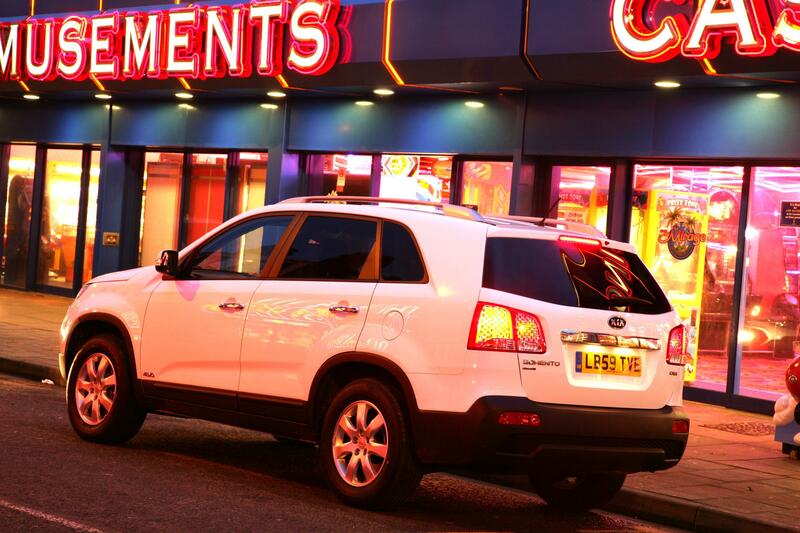 The second Sorento is a car that will appeal for more than reasons of value and longevity. It looks impressively imposing, offers decent mechanical refinement, surprisingly good fuel consumption together with lots of space and equipment. Just ensure you’re happy to live with an interior that’s not particularly inspiring to the touch. Solid, capable and unpretentious – the latest Sorento will be an attractive proposition to owners of the first generation and will no doubt continue to persuade customers away from rivals’ showrooms too. Thumbs Up: Distinctive exterior styling, quality of build, equipment count, that impressive warranty, price. Thumbs Down: Cheapness of some of the interior plastics, lack of cabin boldness, access to the third row could be more straightforward, manual gearbox not especially slick, lack of stop-start function.